As we’ve covered in recent weeks, Comcast has dumped oodles of cash into the Fort Collins race with misleading ads from an organization called Priorities First Fort Collins. When we released our policy brief on Comcast’s investment in the Fort Collins and in the Seattle elections, they had only invested around $200,000 in Fort Collins. By the election, that figure had jumped to more than $450,000. Fortuntely, voters in the city weren’t fooled by Comcast’s lies and are willing to give their leaders a chance to explore options. Download the policy brief here for details on Comcast’s strategy and why they tried to buy the Fort Collins election. 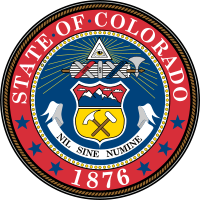 In addition to Eagle County and Boulder County, sixteen municipalities in Colorado voted on whether or not to opt out of restrictive SB 152. The 2005 law prevents local communities from offering advanced telecommunications services to the general public, either on their own or with a partner. In the past two years, scores of local voters have taken advantage of the law’s opt out provision and chose to reclaim local authority. Many of them have not taken concrete steps to build publicly owned infrastructure and are content with knowing that they have the option in the future. Some, like Larimer County, have hired consultants or allocated funding for feasibility studies to take a closer look at their options. Other communities that have opted out in recent years have taken decisive action, such as Steamboat Springs and the state’s celebrated community network, NextLight in Longmont. For places like Greeley, opting out is a step in a process that has already started. 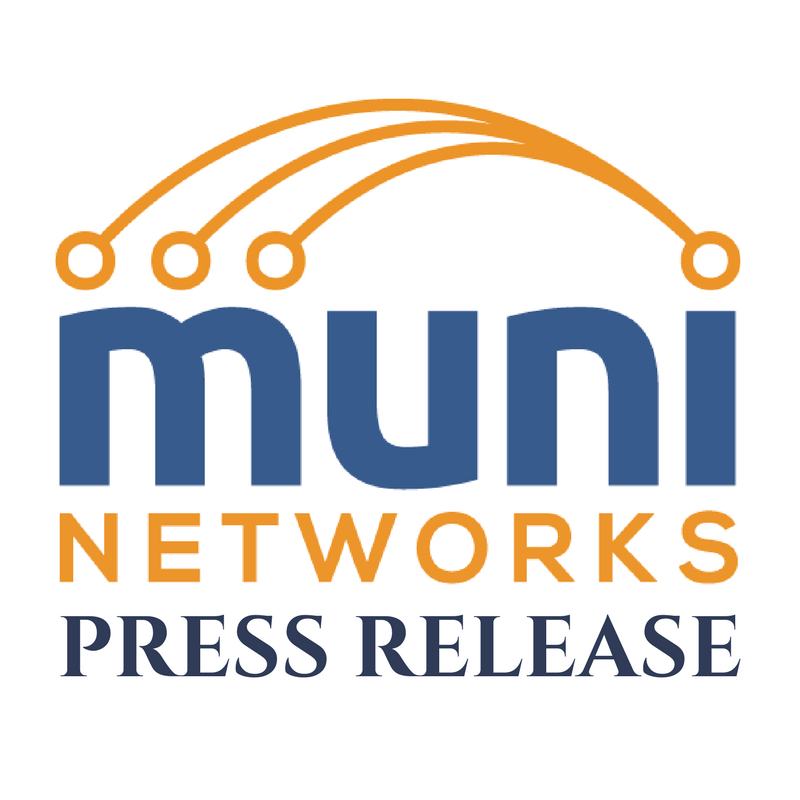 Encouraged by interest from new business in the area, they’ve funded a feasibility study with nearby Windsor to examine ways to improve connectivitiy. In order to have all their options available, Greeley put the SB 152 opt out question on the ballot. Other communities have ideas how they want to move forward. Alamosa, which passed the ballot measure this election, wants to make better use if its existing dark fiber resources, but doesn’t want to run afoul of the law. Fort Collins opted out of SB 152 in the fall of 2015 and yesterday’s vote was a critical step to ease their process and encourage competition. In every community that has put the issue on the ballot, voters have approved the measure to reclaim local authority. In keeping with almost all of the referendums we’ve watched, voters this year approved the decision to opt out by wide margins. Voters in Smowmass Village overwhelmingly approved opt out with 90 percent of the vote; the lowest approval was 61 percent. 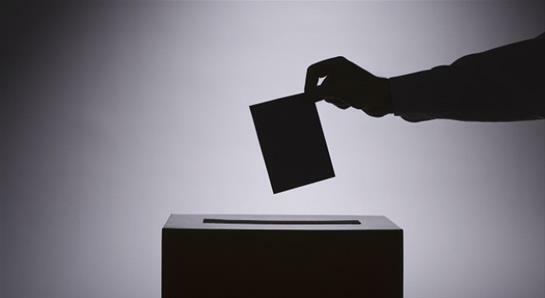 Update Nov. 9: We just learned that the small town of Kremmling presented the opt out issue to voters. It was their only ballot issue this year and it passed with 88 percent of the vote. 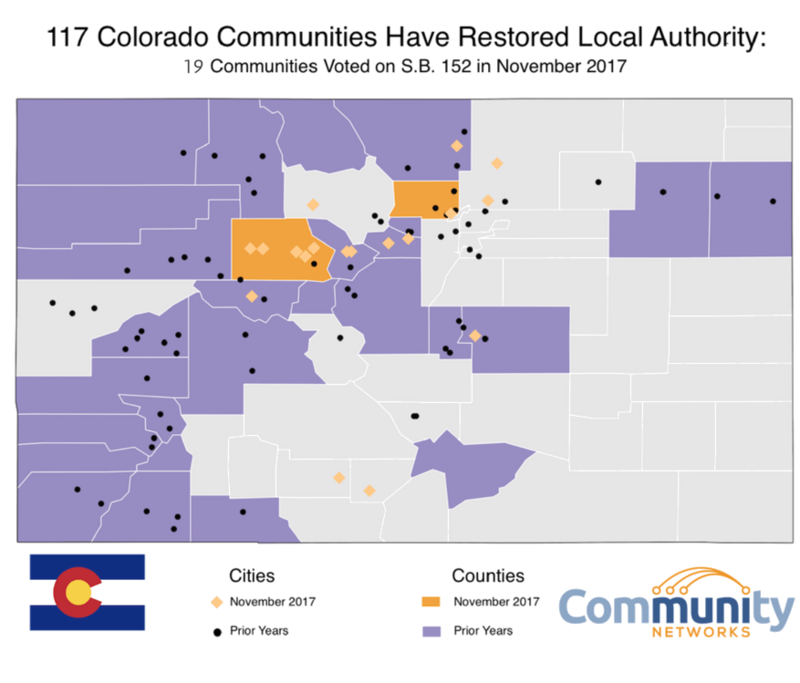 Yesterday’s results reflect the connectivity needs of small, mid-sized, and regional Colorado communities. The overwhelming approval rates reflect voters’ awareness that they can no longer wait indefinitely for big incumbent ISPs. They know they need high-quality Internet access and they know they need it now. 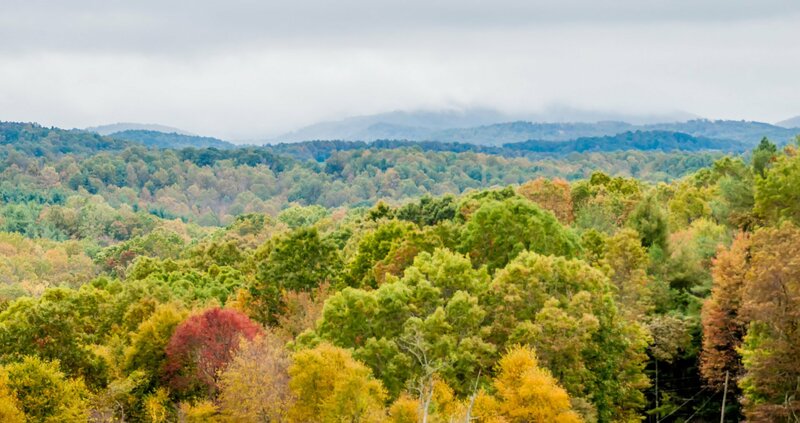 Many of these communities are watching towns around them make economic development strides, bring better educational opportunities to school children, and offer advanced telehealth options and they know better connectivity is the driver. In addition to staying competitive, these 18 communities are now able to decide their own fate through local authority without the hamstring of state intrusion.